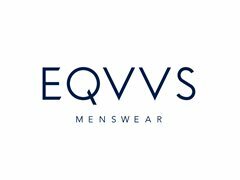 We're looking for aspiring models to become the new face of EQVVS Men. If you are aged 18-30, self-motivated and confident in your ability to model a range of different products, EQVVS would love to hear from you. We're looking for models that are a minimum of 5'11"/180cm tall, with a slim to medium build. You don't need to have previous professional modelling experience, but an awareness of fashion, an interest in modelling and a positive attitude is key. The successful applicants would be required to work on a flexible and ad-hoc basis, usually for a day at a time, modelling multiple items of clothing to appear on the EQVVS website and EQVVS marketing materials. Our head office and photography studio is based in Lincoln, therefore being local to Lincoln would be beneficial but not essential. At least one clear full-length photo plus a head and shoulders shot must be provided to be considered. Minimum hight of 5'11"/180cm, with a slim to medium build. You don't need to have previous professional modelling experience, but an awareness of fashion, an interest in modelling and a positive attitude is key.